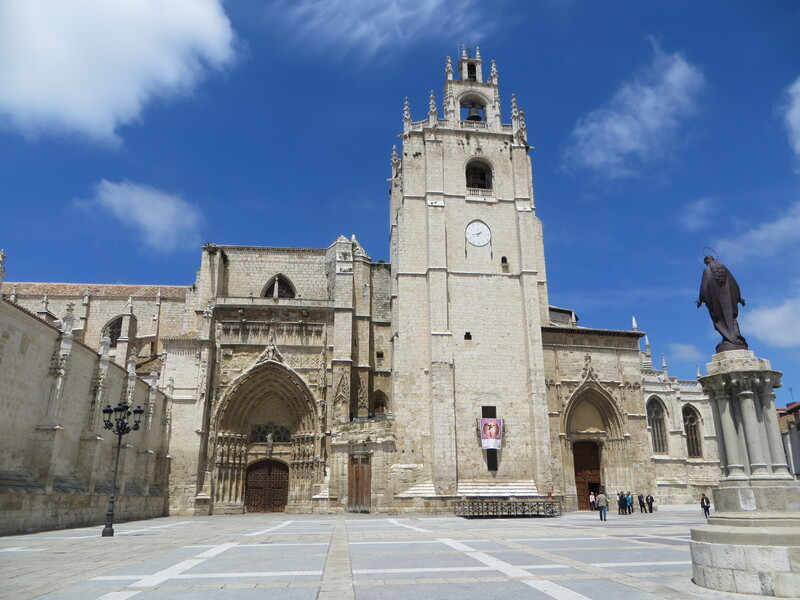 It was only a short drive from Valladolid to Palencia and we easily negotiated the traffic and found our way to a car park close to the city centre where we immediately came across a pleasant pavement café where we stopped for coffee and to take time to find our bearings. This entry was posted in Cathedrals, El Cid, Europe, History, Natural Environment, Spain, World Heritage and tagged Canal de Castilla, Canal du Midi, Castilla y Leon, Culture, Life, Paencia, Plaza Mayor, Spanish language. Bookmark the permalink. I was exaggerating a bit and actually, I am ok with small dogs it’s the big ones that scare me. I wish that I could speak another language – French or Spanish would be particularly useful! Wow… What a beautiful place. I would love to go there. When you cooked us that lovely paella lunch at your house recently, you told us that cathedral anecdote and got us laughing. * I nearly said “in TRANSLATION”! Ha! Another place I’ve never heard of – do they not play football there? CF Palencia – Founded in 1975 and dissolved in 2012 due to bankruptcy! The language fiasco had me laughing on the floor. Perhaps, the ‘victims’ were messing with you. In Quebec, if you don’t pronounce French word(s) exactly, you are stared at as if you have two heads. Well, the French are like that all over France but not normally the Spanish!